WikiLeaks published over 90,000 mostly-classified military documents relating to the war in Afghanistan. Pakistan’s ties to the Taliban are revealed in detail, as are civilian deaths, friendly fire deaths, and scenes from a more ugly and complex war than is being reported. WikiLeaks today released some 92,000 mostly-classified military documents relating to the nine-year-old Afghan War. The documents were given to three major publications, the New York Times, The Guardian UK, and Germany’s Der Spiegel (and no web-only publications) several weeks ago, with an agreement that the information would not be published until today. The Times included a note to readers explaining the choice to publish classified information, the type of research undertaken to assure veracity of the material, and, briefly, exactly how pissed the White House is that this is all coming out. The material is largely “Secret” level, which is a fairly low level on the classified-documents scale, and mostly consist of logs from the troops on the ground, covering the time between 2004 and late 2009. The logs are exclusively from American military, not Pakistani or Afghanistan, and cover a wide range of topics, from specific military engagements to political unrest to suspicions held by the soldiers. Notably, the documents portray the war as much bleaker than official reports. Logs like these are called “raw intelligence,” meaning individual reports from lower-level soldiers. These reports are then used by analysts to advise those who create policy. That means it’s difficult to find any “smoking gun” in the reports, but they do give a more specific look at the war on the ground level, rather than the polished big picture released by the Pentagon and the White House. The major story to come out of these logs is a more detailed view at the relationship between Pakistan, especially its spy agency, the Inter-Services Intelligences (ISI), and the Taliban insurgency in Afghanistan. That relationship has been a fairly open secret over the course of the war, not just to the higher-ups in the military but to anyone following the story closely. But the level of detail in these logs brings that relationship more fully into the light, and considering the Obama Administration’s backing of Pakistan (both with words and with aid money), the fact that some of these government agencies are playing a double game is very disturbing indeed. Many of these allegations include names, and one in particular pops up over and over: Lt. General Hamid Gul, director of the ISI for two years in the late 1980s. According to the The New York Times, Gul developed close ties with Afghan militias, supported by the CIA, in Afghanistan’s fight against the Soviet Union. Those same militias eventually became part of the Taliban, and Gul retained his ties to them. Gul says he is retired, but the reports explicitly say that, for example, he was a key member of a meeting of Afghan insurgent commanders and representatives of Al Qaeda seeking to avenge the death of Osama al-Kini, a leader of Al Qaeda, at the hands of the CIA. There’s also a particularly wrenching account of one small US outpost in southeastern Afghanistan, one of the most fiercely defended Taliban areas. The story explains in painful step-by-step detail as the security at the outpost fell, bit by bit, to an overwhelming Taliban force. Eight were killed and two dozen injured before American reinforcements arrived. By then, the fighting had stopped. The Americans cleared out of there, leaving so fast that ammunition stores were left behind–and were quickly looted by insurgents before being bombed by American planes in an attempt to halt the looting. Other important findings indicate that the civilian death toll has been significantly under-reported, that the Taliban has access to heat-seeking anti-aircraft missiles, and that unmanned drone aircrafts are used extensively even though their performance is less impressive than reported. In addition, some secret commando groups are tasked with a “capture/kill” list of about 70 top insurgent commanders. This program has been enlarged by the Obama administration, but while it has claimed some successes, it has also resulted in some civilian deaths. The United States strongly condemns the disclosure of classified information by individuals and organizations which could put the lives of Americans and our partners at risk, and threaten our national security. Wikileaks made no effort to contact us about these documents – the United States government learned from news organizations that these documents would be posted. These irresponsible leaks will not impact our ongoing commitment to deepen our partnerships with Afghanistan and Pakistan; to defeat our common enemies; and to support the aspirations of the Afghan and Pakistani people. Jones went on to reiterate the US’s “partnership” with both Pakistan and Afghanistan, showing only the tiniest chink in that partnership by saying that Pakistan (and, notably, “Pakistan’s military and intelligence services”) must “shift decisively” against Al Qaeda and other extremists. WikiLeaks, as is its custom, has not revealed the source of the leaks. The independent reporting muscle of the New York Times, The Guardian UK, and Der Spiegel have taken it upon themselves to research and verify the findings. 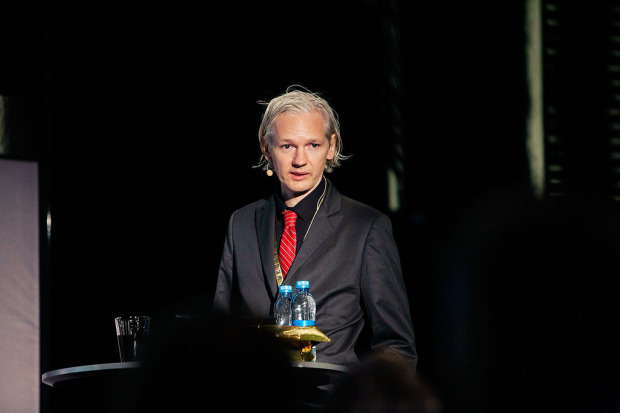 In addition, WikiLeaks has withheld about 15,000 of the documents in order to redact certain sections as part of what WikiLeaks terms a “harm minimisation” process. The original WikiLeaks documents can be found here, while a curated selection provided by The New York Times can be found here. To find out more about WikiLeaks and its mysterious founder, Julian Assange, I highly recommend Fast Company‘s crib sheet, which you can read here.